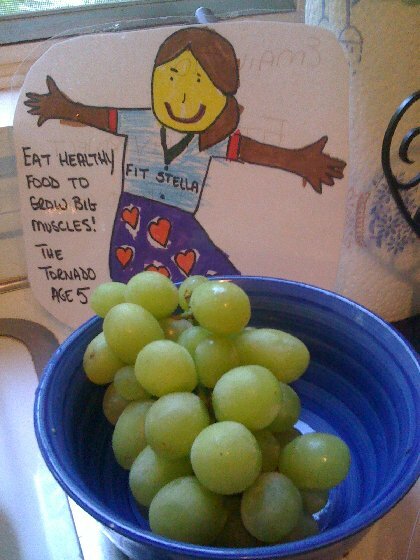 It is summer and it is hot and as everyone knows FitStella is all about eating healthy food to grow big muscles (just ask her)! So here is a recipe for kids to make that is a healthy and fun summertime snack that is FitStella Approved! Ask a grown-up to buy green, red, or concord grapes at the farmers' market or grocery store. 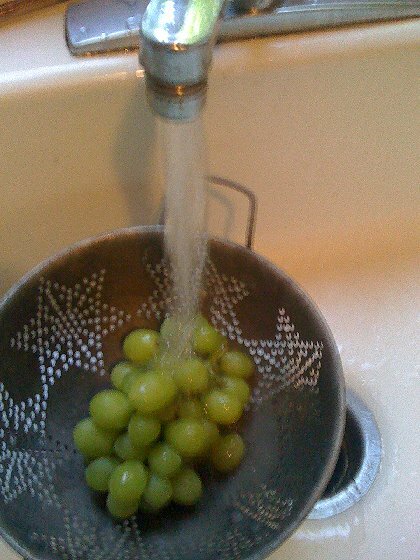 Wash your own hands and then wash the grapes under cool water. 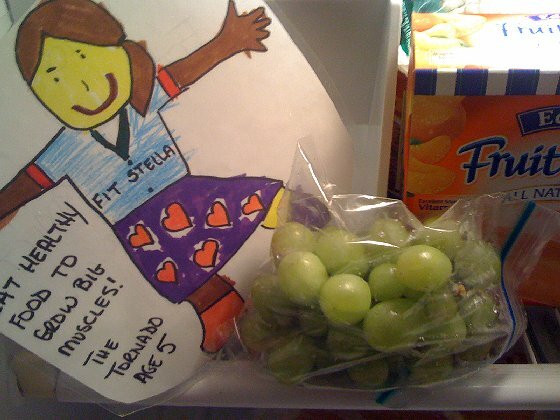 Put the grapes in a plastic zip bag and place them in the freezer until they are frozen.